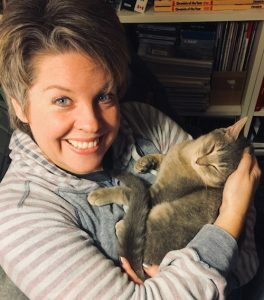 Paula of House Cardozo, mother of cats, and breaker of Library stereotypes is a later-in-life Librarian with an interest in career topics like negotiation, interview day preparation, mentoring, and e-portfolios. She is the Education, Women & Gender Studies, and Sociology Librarian at the University of Lethbridge. Previously, she was a Library Technician and Librarian at Nipissing University and Canadore College. She is the 2010 recipient of OCULA’s New Librarian Residency Award. Paula clearly loves Game of Thrones – almost as much as she detests clowns and onions.